GENEVA (Bloomberg) -- Fiat Chrysler Automobiles may sell a stake exceeding 10 percent when its Ferrari division holds an initial public offering this year, as more investors than expected seek a share of the supercar manufacturer. “The demand is much, much higher” than foreseen, CEO Sergio Marchionne told journalists Tuesday at the Geneva International Motor Show. “We should pay attention not to create imbalances” in the stock price. Fiat Chrysler laid out a strategy last year to sell 10 percent of Ferrari in the IPO, with the parent company’s remaining 80 percent stake to be distributed to Fiat Chrysler investors by year’s end. Piero Ferrari, the son of founder Enzo Ferrari, owns the other 10 percent of the sports-car unit and plans to keep his holding. Widening the IPO stake beyond 10 percent would reduce the risk of high demand artificially pushing up Ferrari’s price, though it’s “very unlikely” that Fiat Chrysler would sell its entire holding, said Marchionne, who is also the Italian sports-car unit’s chairman. No final decision has been made, he said. Plans for Ferrari’s separation include creating a holding company registered in the Netherlands for the unit and preparing for a New York Stock Exchange listing, Marchionne said earlier Tuesday. The strategy was used last year when Italian carmaker Fiat and U.S. counterpart Chrysler merged to form London-based Fiat Chrysler, as well as in the creation of CNH Industrial NV, Fiat’s former truck unit. 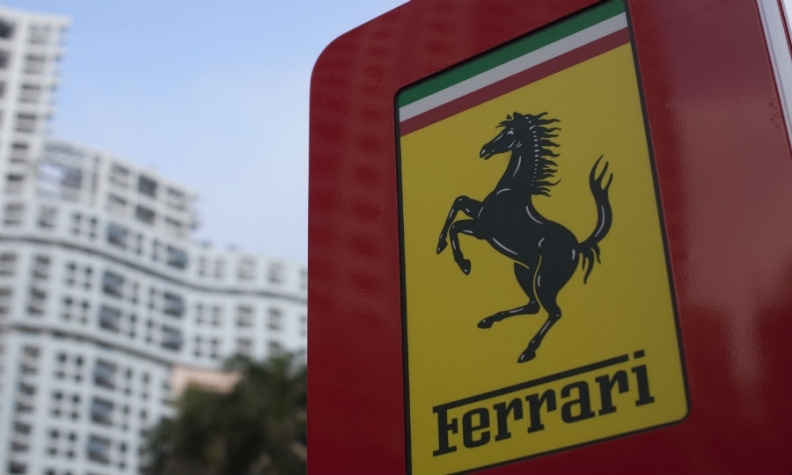 Ferrari’s registration move would help Fiat’s founding Agnelli family tighten its grip on Ferrari, since Dutch law permits the setup of a loyalty-ownership program that gives stronger voting rights to long-term shareholders. Marchionne has said Ferrari may adopt such a program. Under the spinoff plans, public shareholders would own a majority of the equity in Ferrari. Should the carmaker adopt a loyalty-owner plan that the founding-family investors sign up for, Fiat Chrysler Chairman John Elkann and other descendants of Giovanni Agnelli would hold a combined 36 percent of the votes and Piero Ferrari another 15 percent, according to calculations by Bloomberg News. Exor SpA, the Agnelli family’s holding company, has declined to comment on the figure.